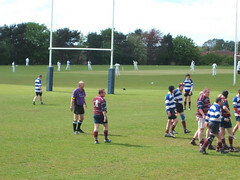 As you move your mouse pointer over the pictures, a description should appear - click on a photo to see the full sized version. 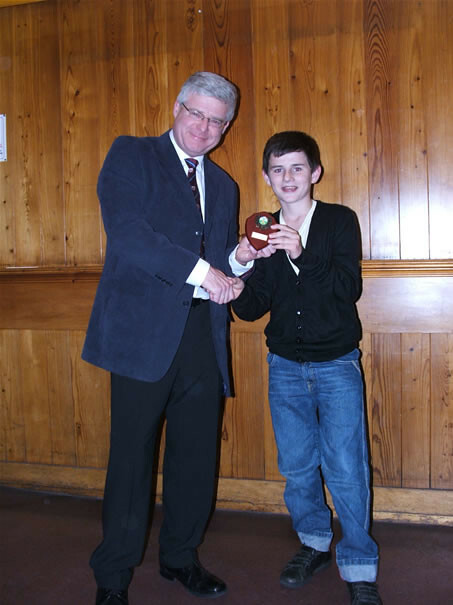 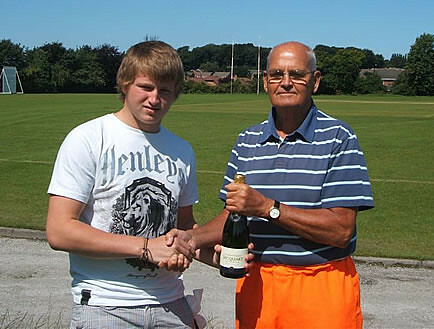 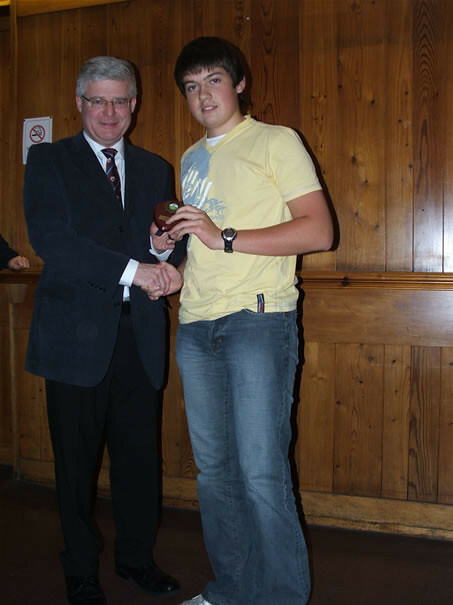 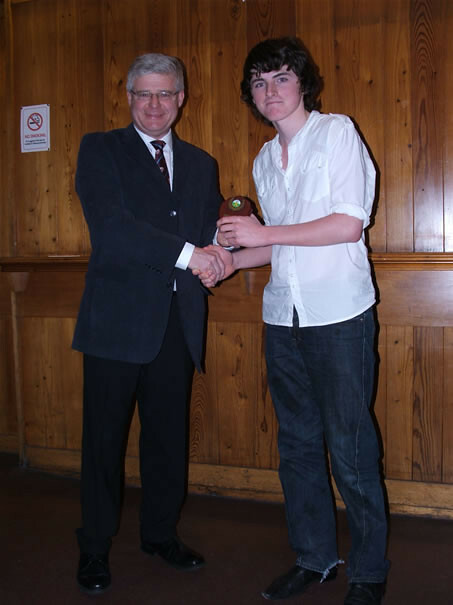 More winners of the Chairman's Prize, Will Walker receives the champagne for scoring 103 v Bunbury and Charles Allen a monetary award ( U-18) for scoring 65. 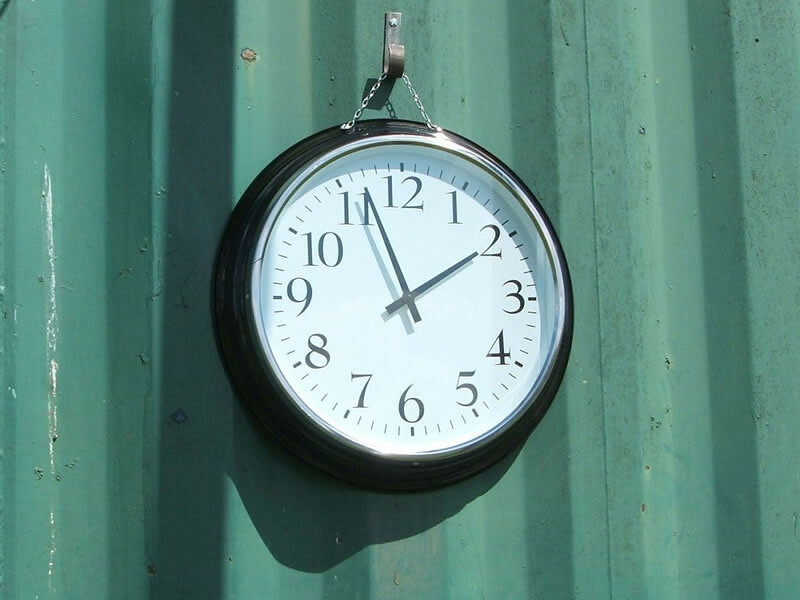 They are also cousins. 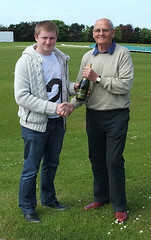 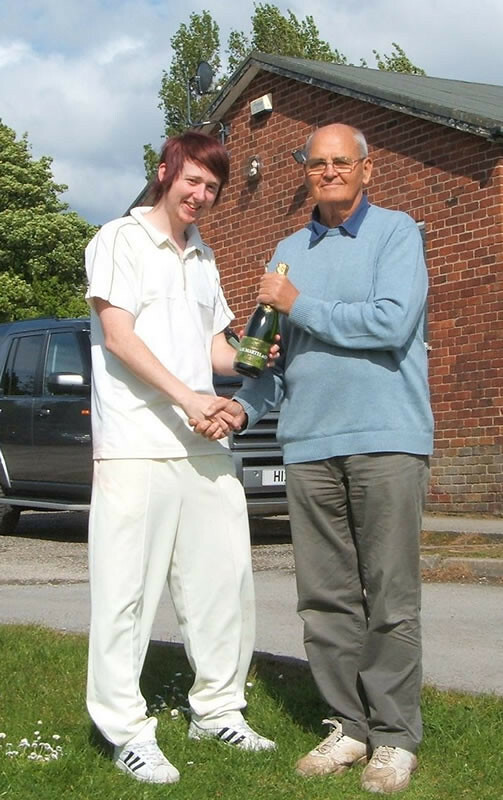 Will Walker, receives the champagne from Chairman of cricket, Dave Westwater after an outstanding 123 runs against Lindow. 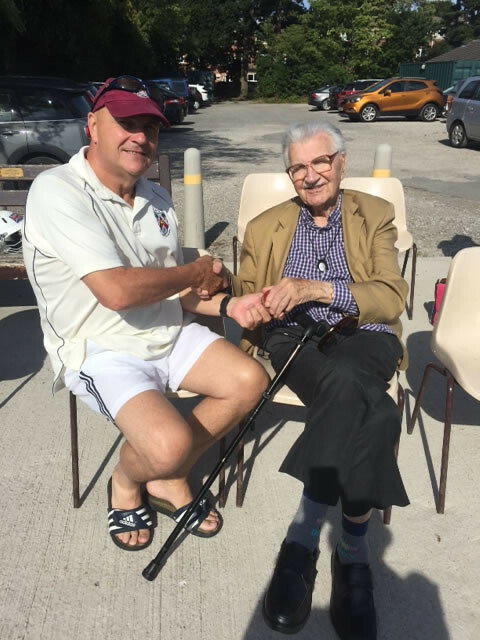 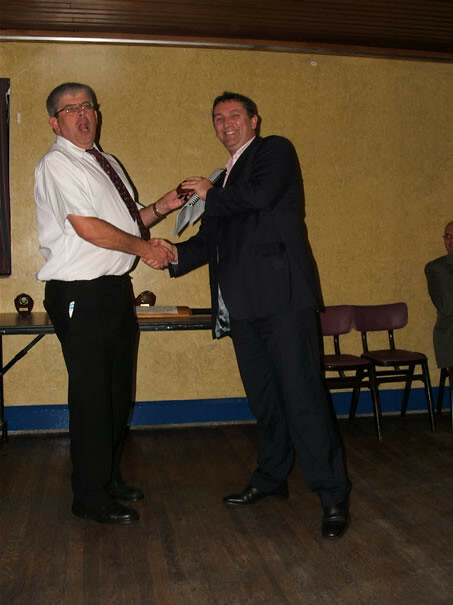 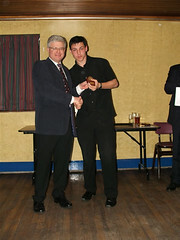 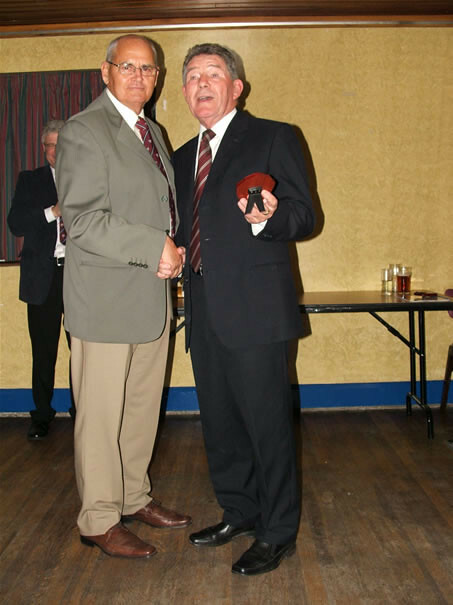 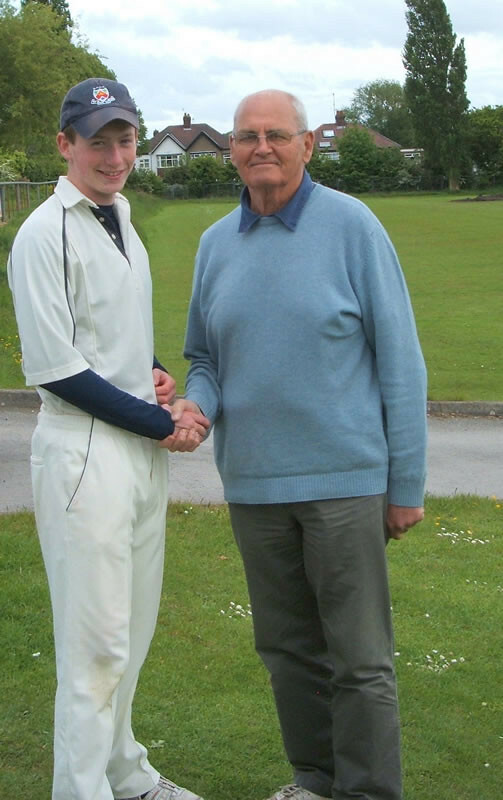 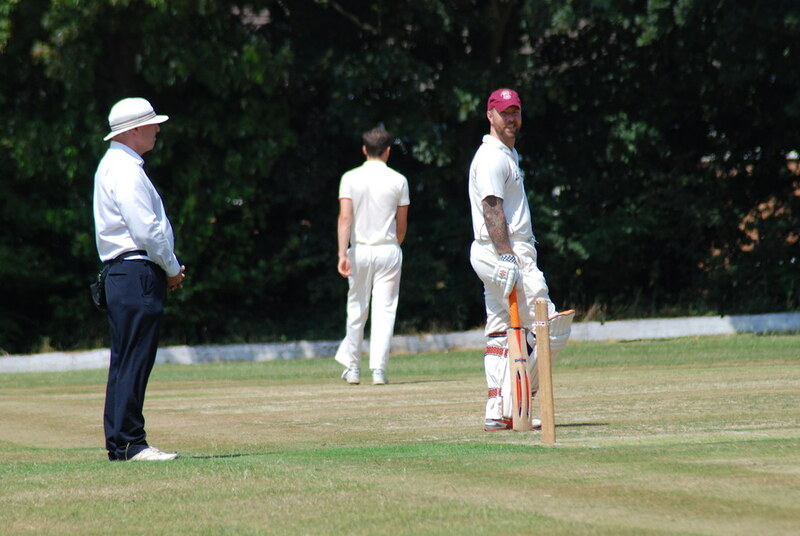 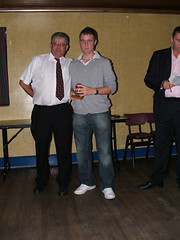 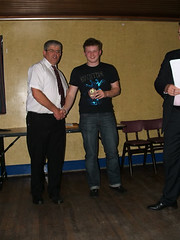 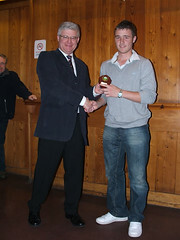 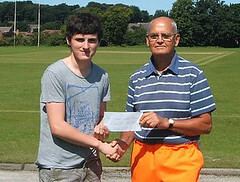 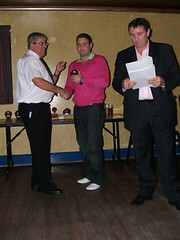 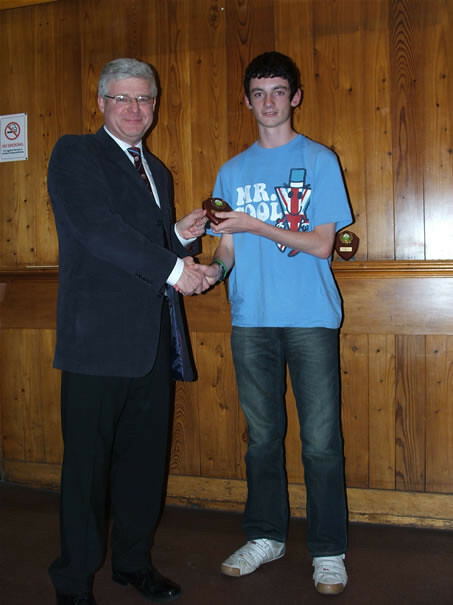 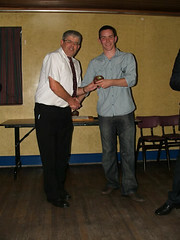 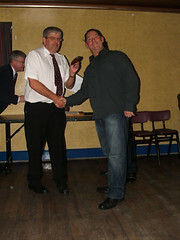 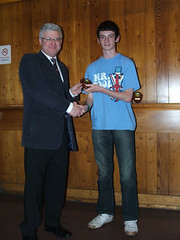 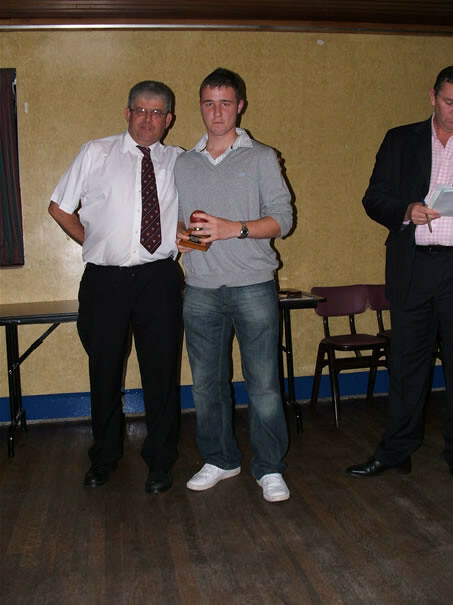 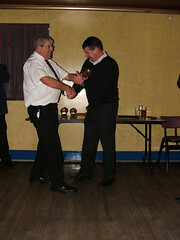 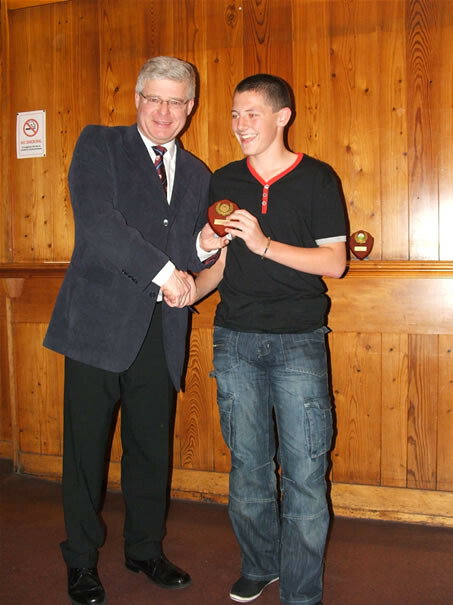 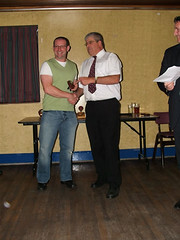 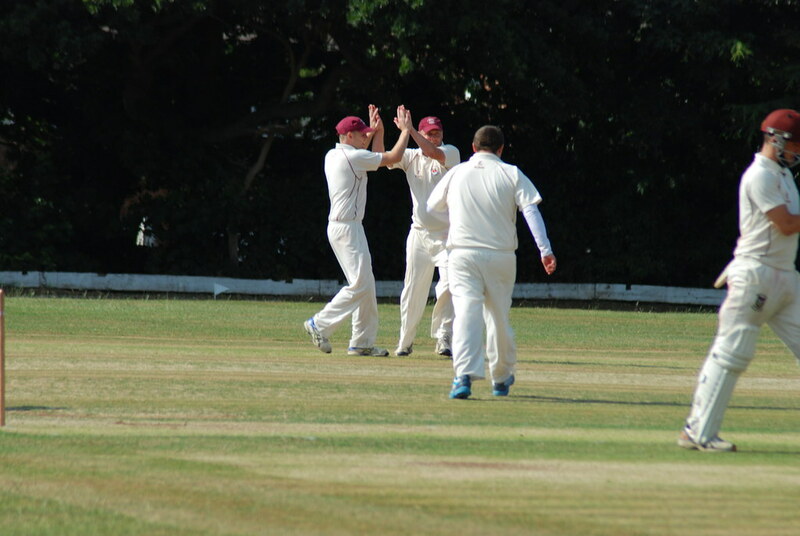 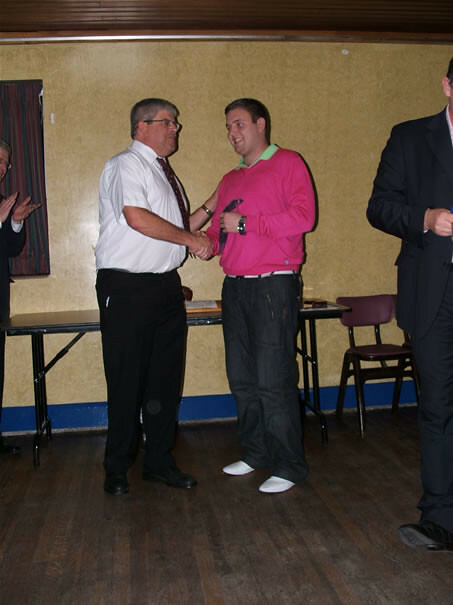 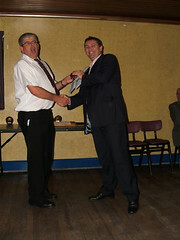 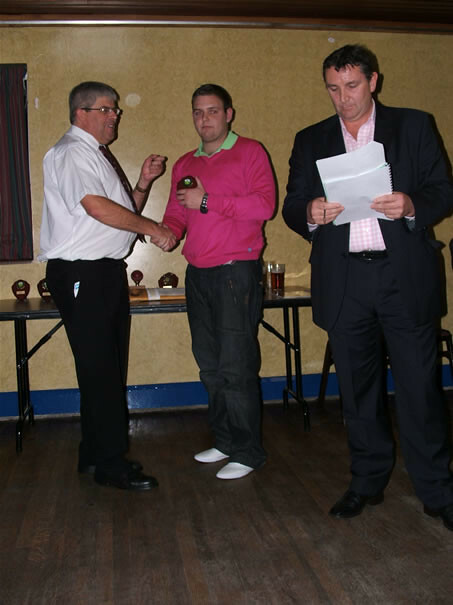 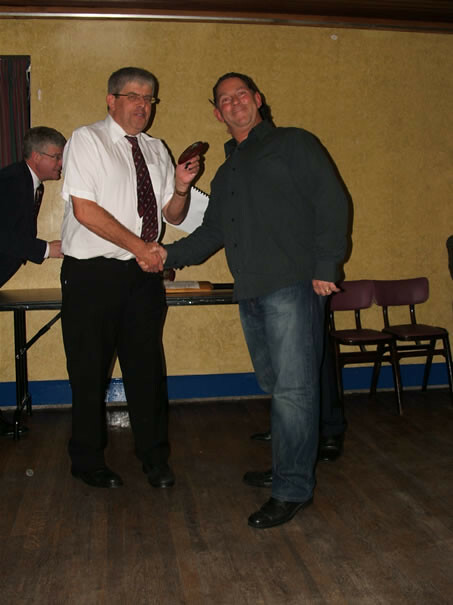 Jonathan Cable being congratulated by the Chairman after scoring 91 on the opening day of the season. Dean Norman with the Chairman's champagne after taking 7 for 48 against Stretton 2nd XI Team. 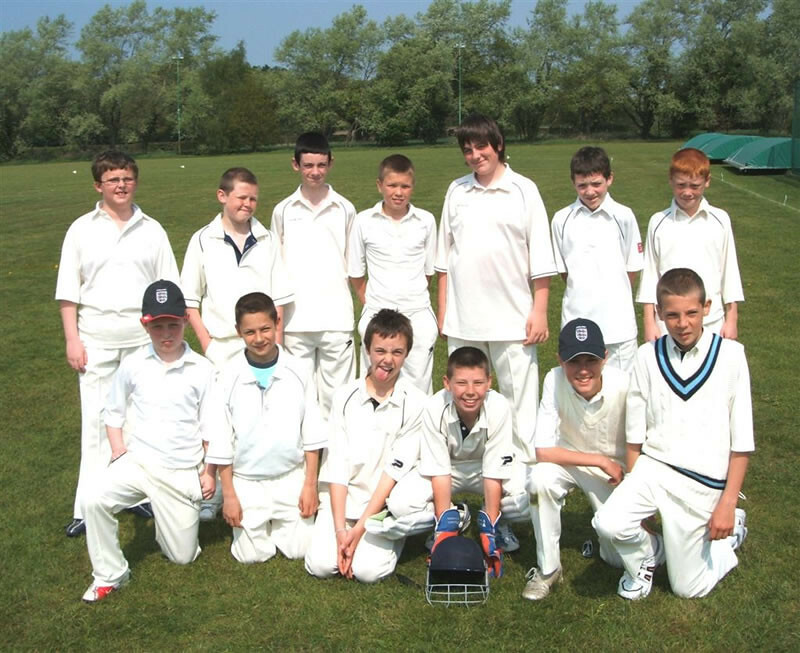 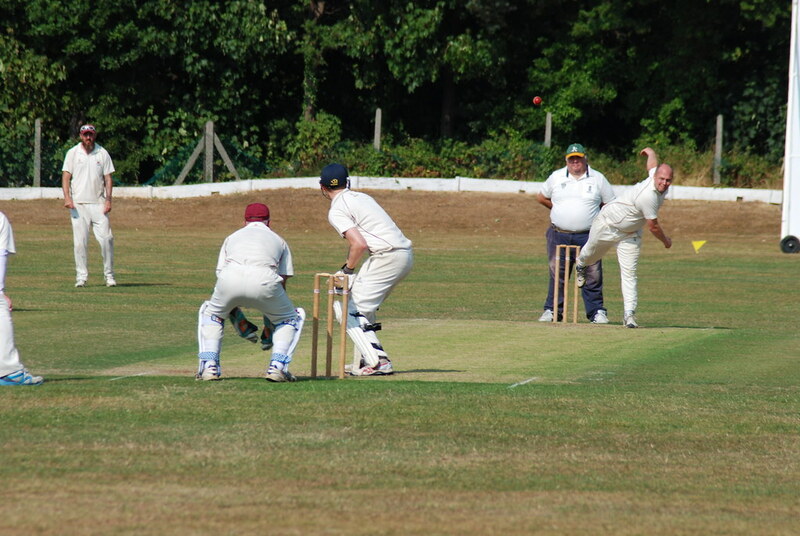 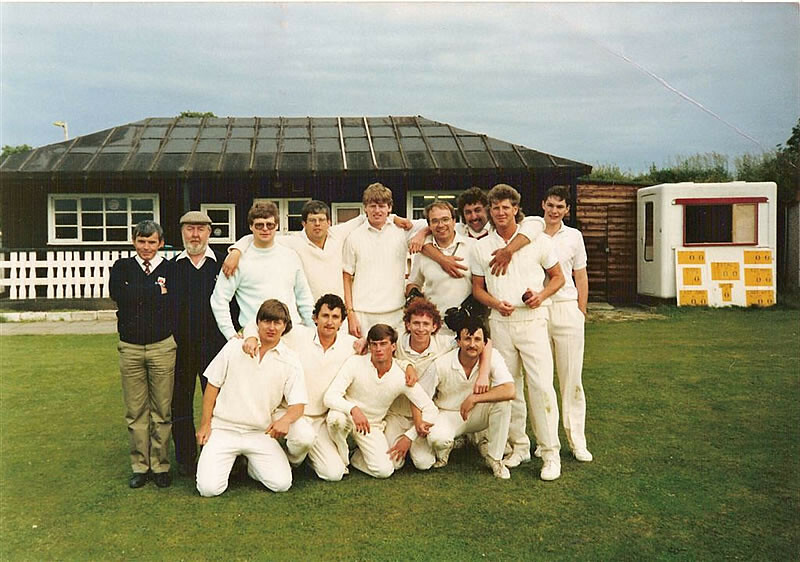 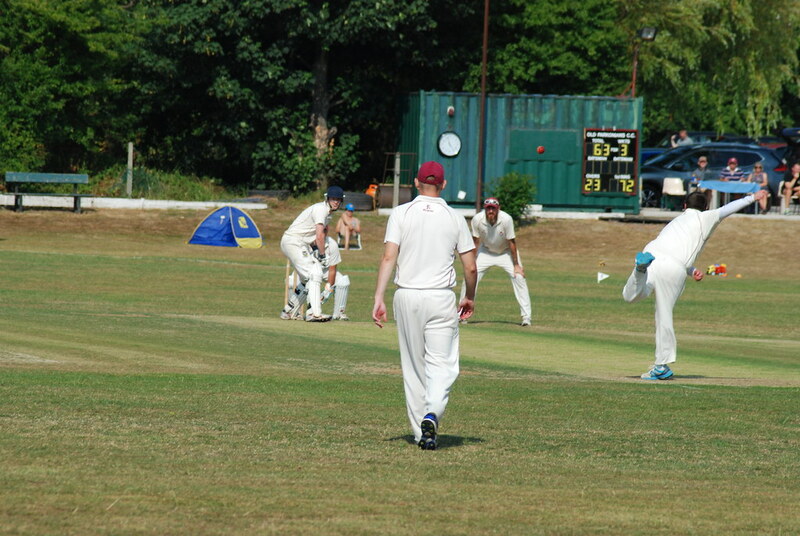 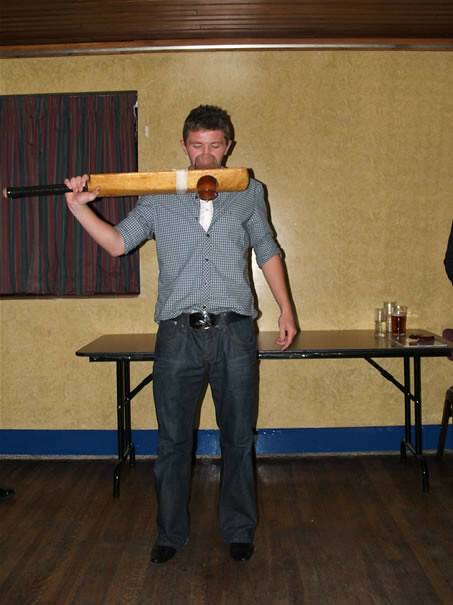 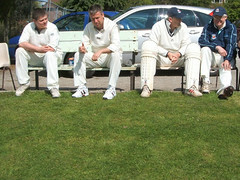 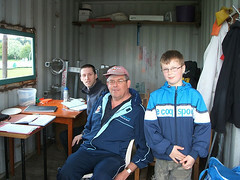 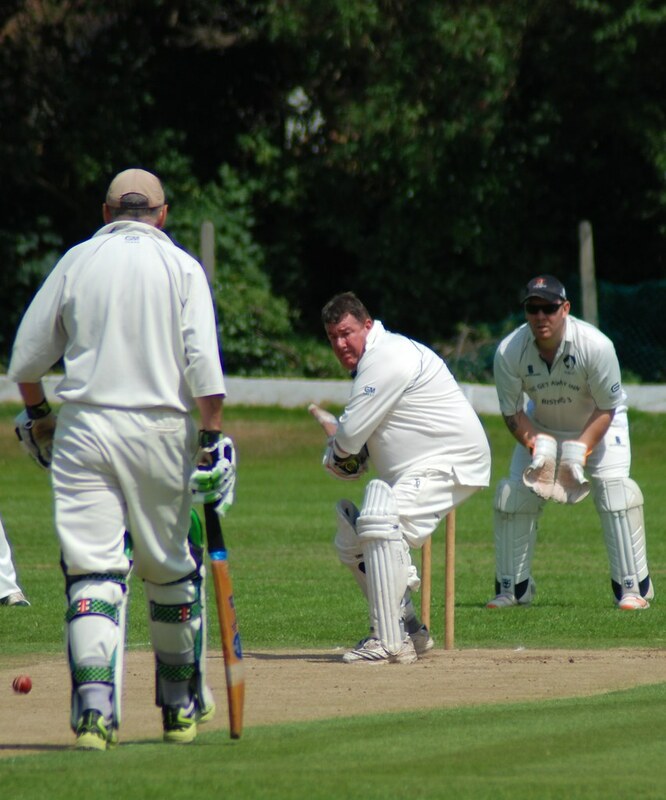 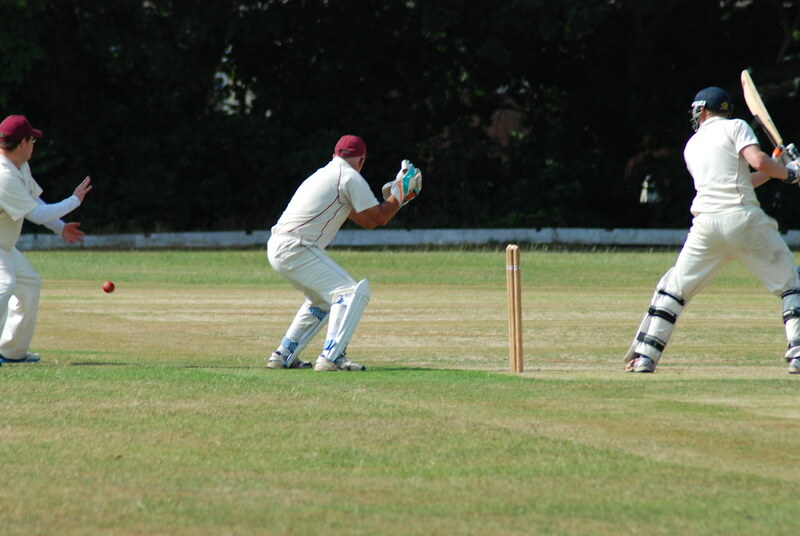 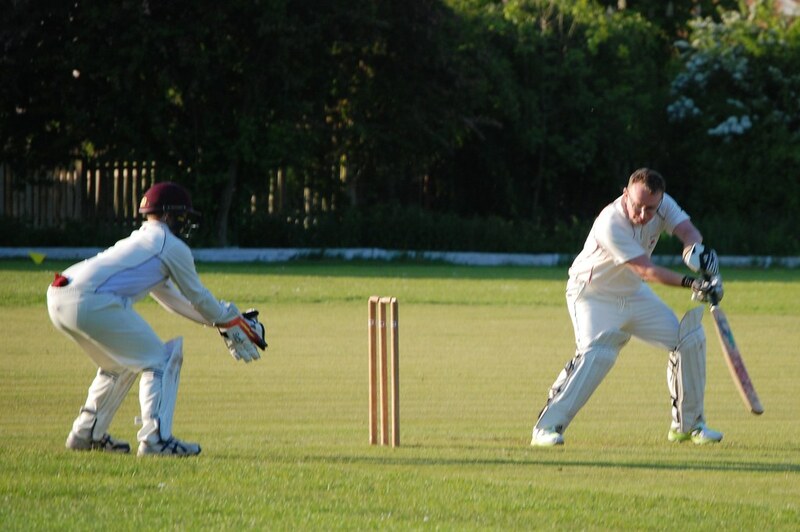 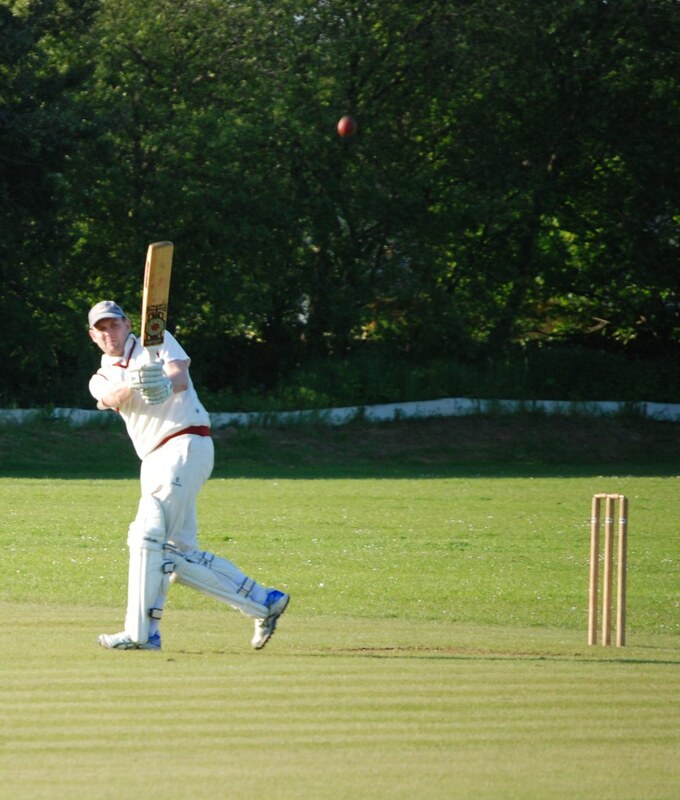 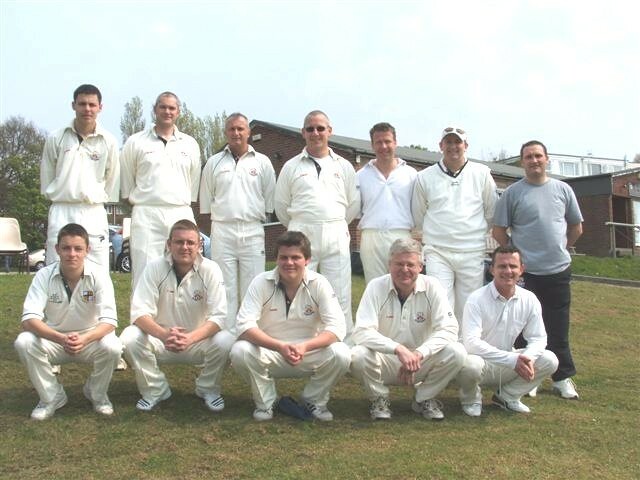 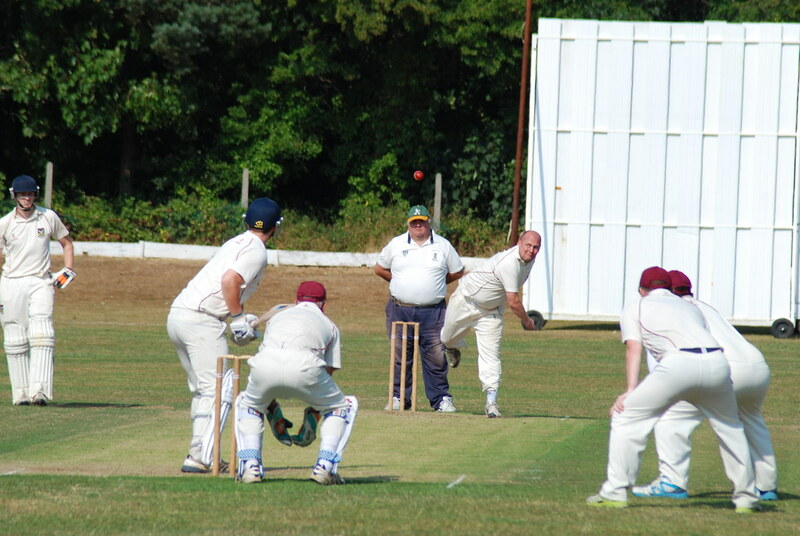 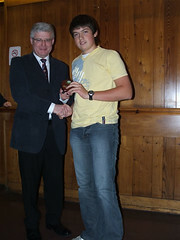 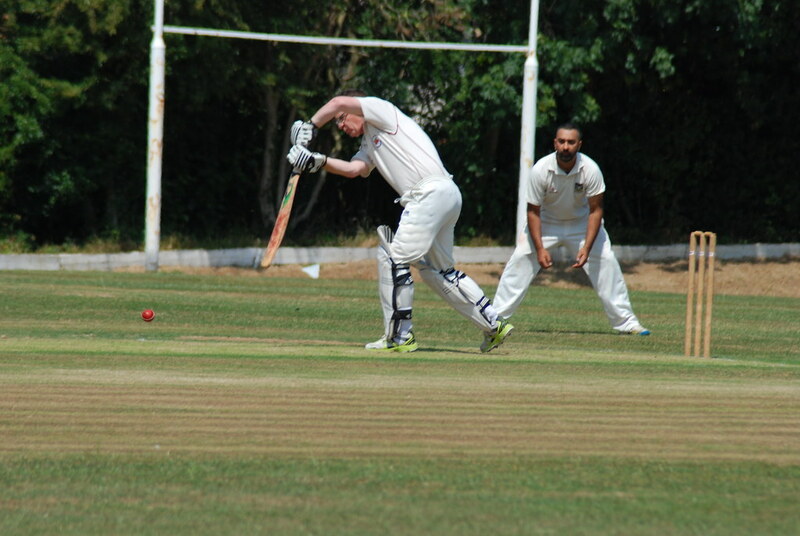 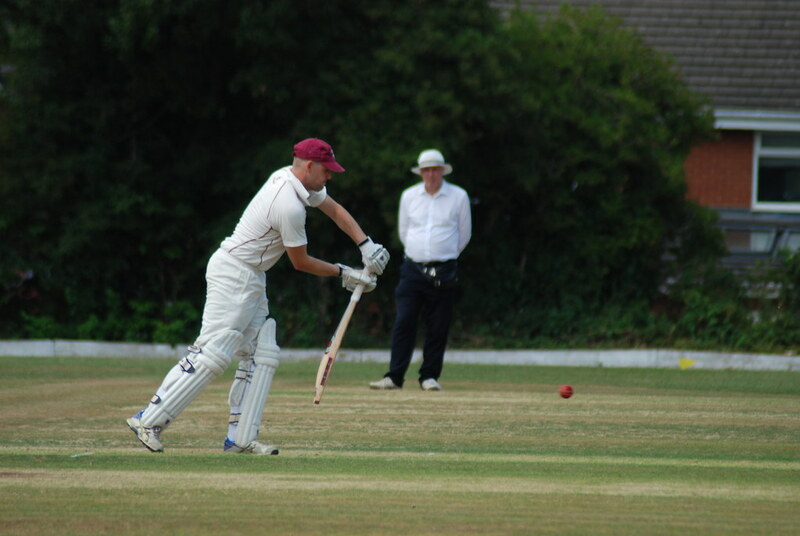 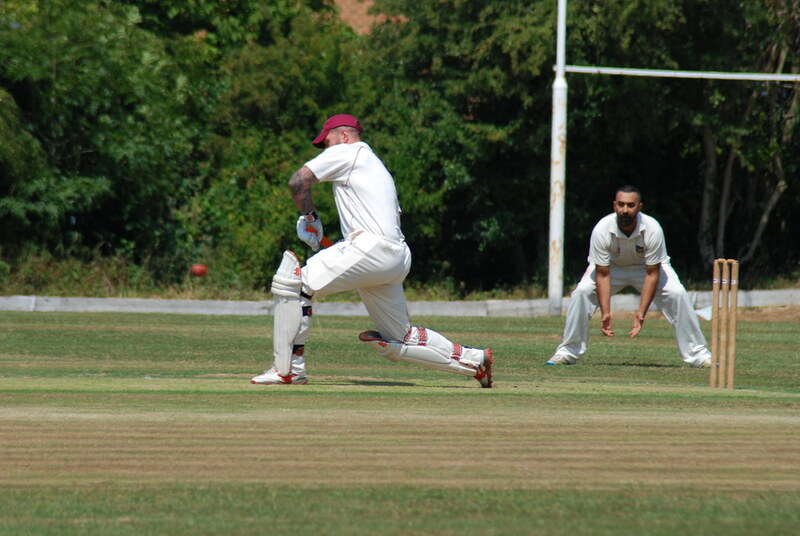 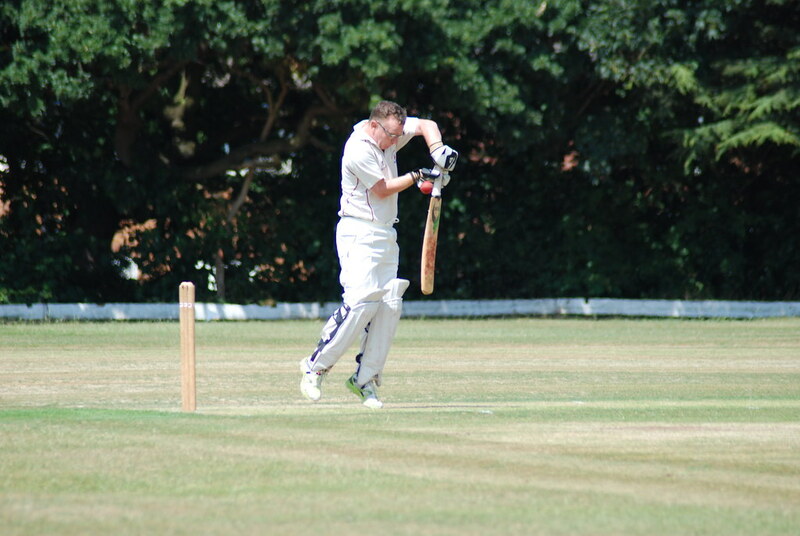 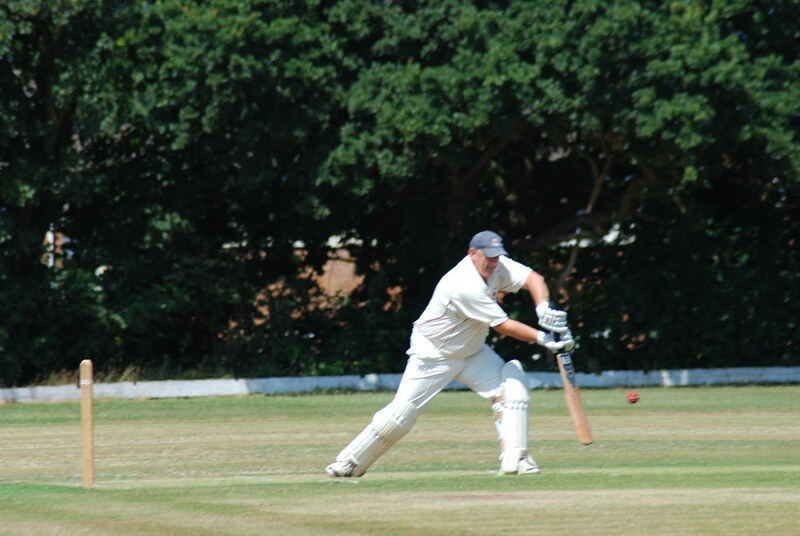 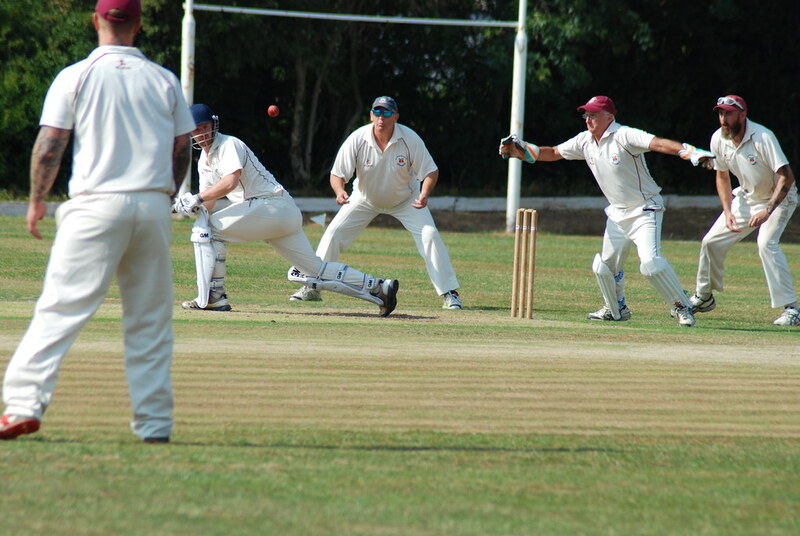 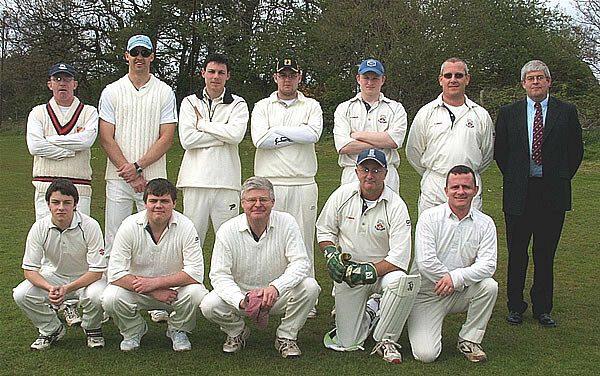 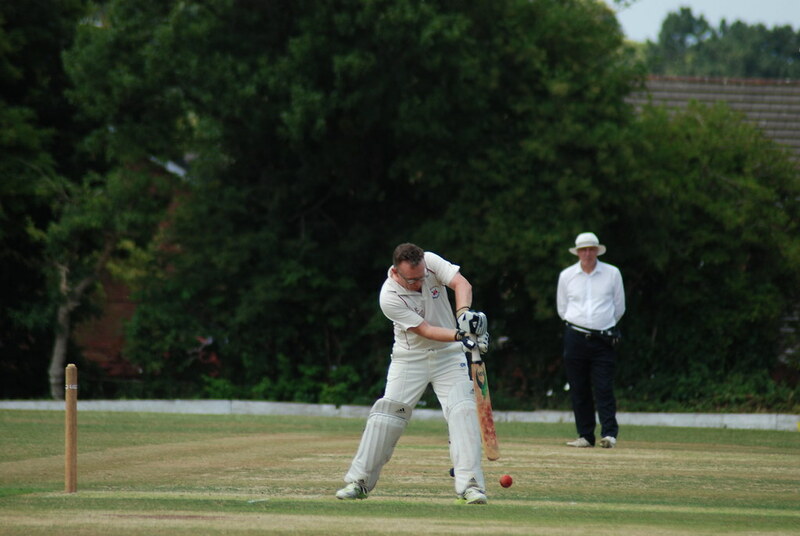 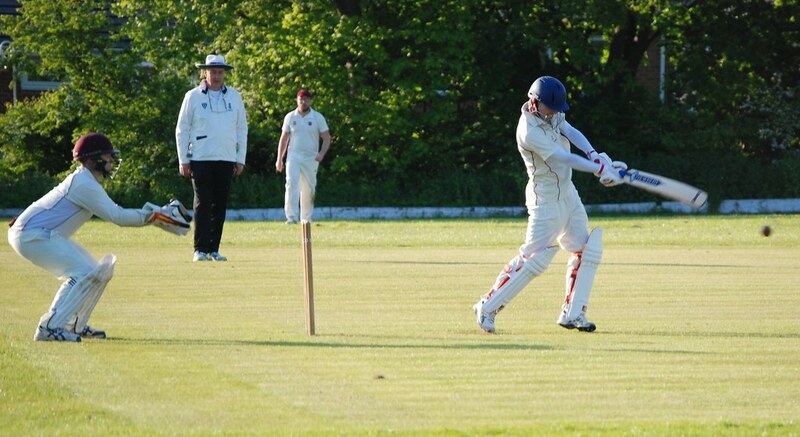 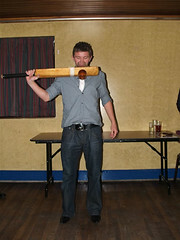 Some pictures from the start of the Cricket Season - click on a pic to see the full sized version. 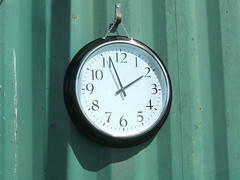 Move your mouse pointer to the right of the "big pic" for the Next link and to the left for the Previous link.